Ms. Bi is the Chief Financial Officer at ShoreVest. She is responsible for the firm’s financial, tax, fund reporting, and invested projects’ financial control. Prior to joining ShoreVest, Ms. Bi was the Chief Financial Officer at Shoreline Capital from 2008 until 2016. Prior to 2008, she had over ten years of experience in financial accounting. While working at Citic-Prudential Insurance Company as Senior Finance Manager in China, Ms. Bi was mainly responsible for business analysis, tax, and projects. While working at Royal Bank of Canada as Senior Financial Analyst in Toronto, she served their mutual fund and commercial banking platforms. 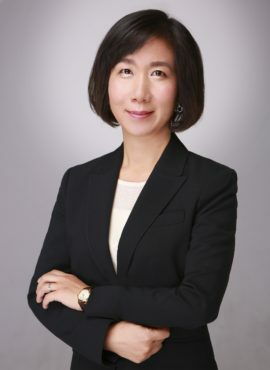 Ms. Bi was the Head of Finance for AIG Insurance Company in charge of financial reporting, treasury, tax and budgeting for the property and casualty arm of AIG in China. Ms. Bi is a Fellow member of the Association of Chartered Certified Accountants, as well as a member of Chartered Professional Accountants (Canada) and holds a bachelor’s degree in international trade from Guangdong University of Foreign Studies in Guangzhou, China.